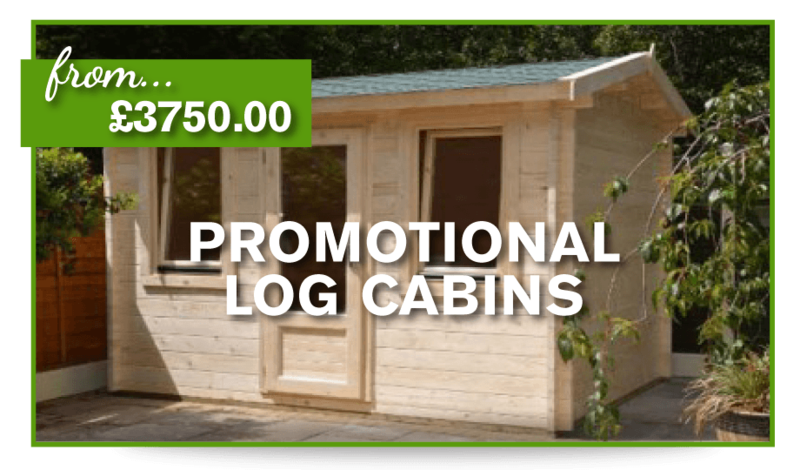 Shop Log Cabins & Timber Building on sale at Beaver Log Cabins. 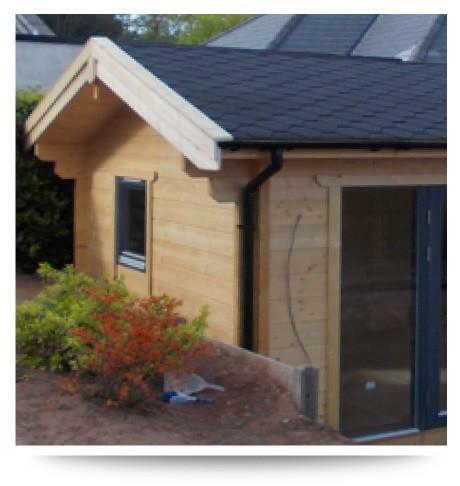 We pride ourselves on the quality of our Wooden building designs and the high quality of the products we offer. You are welcome to come to visit our show site, view one of our cabins in person and discuss any project or building with us. 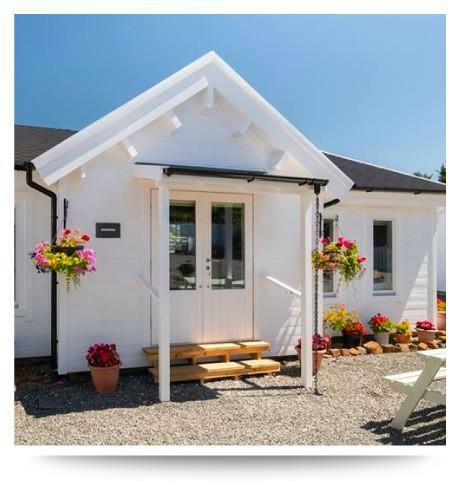 With over 14 year’s industry experience to help us improve, we are very passionate about the timber cabins and buildings we design, supply, build and install. Just give us a call to discuss any design you have in mind and we will be happy to help. 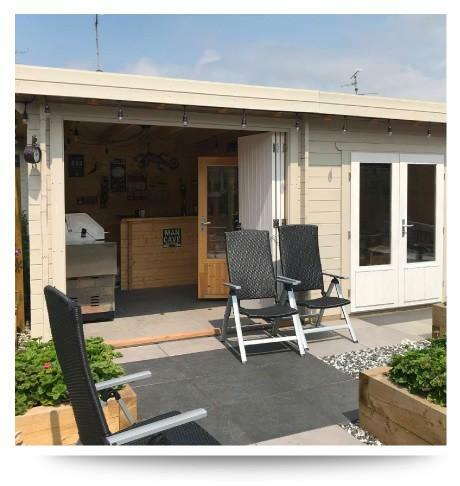 Browse through all of the wooden lodges, sheds and log cabins for sale here on our website and do please give us a call if you have any questions or need help in deciding on the light building for you. Our highly experienced staff have been in the business for many years and have experience of virtually every design you can think of and every situation. We can give you help and guidance on the grounds works and utility supplies as well as any planning that may be required for your build. We have a huge range of design options to suit your needs, so why not pay us a visit at our showroom in Winsford. 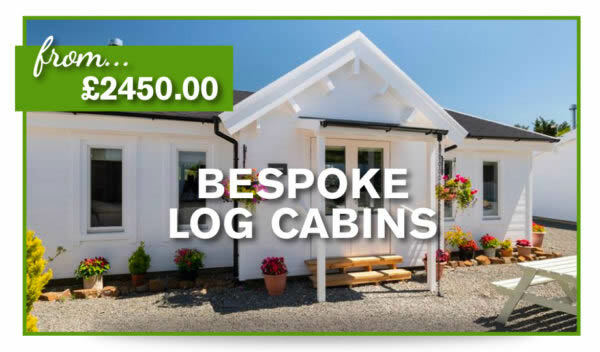 You will be able to see fully constructed examples of what we sell and we can talk you through all the myriad of log cabin design options available to you. Pricing is a simple task of speccing up the detail and we will do the rest. You can also use the on-page calculator on any of our product pages to give you a good idea. Extras include the thickness of the cabin walls, insulation options as well as the type of roofing material you choose. We can also supply any heaters that you may need. Alternatively, give us a call today on 01606 590609 and we’d be happy to answer any questions you may have! 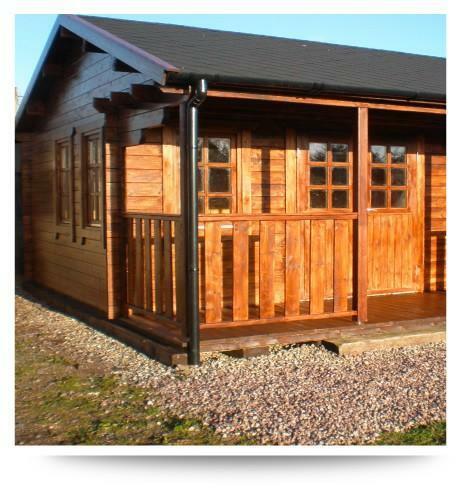 Our range of buildings includes timber lodges which can be sited in your garden. These can take many forms, from simple utility buildings to clock houses and garden offices. 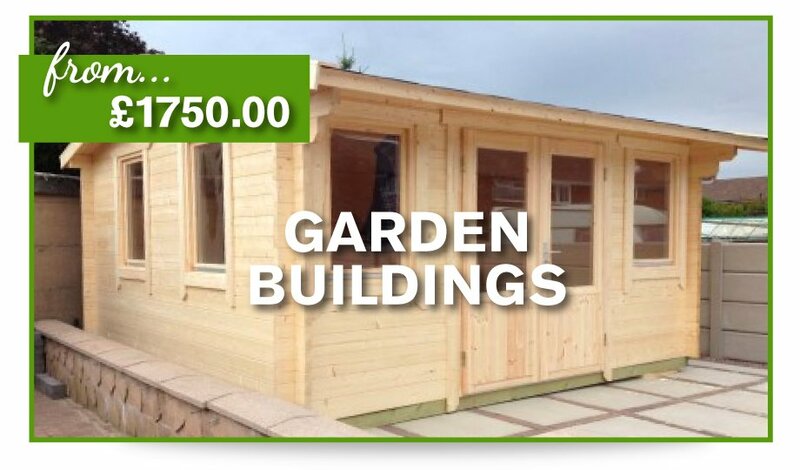 The buildings are delivered on a large pallet to your address. We then dispatch our highly skilled construction team to build the structure on site. This can take anything from a couple of days to a week depending on the size of the building. 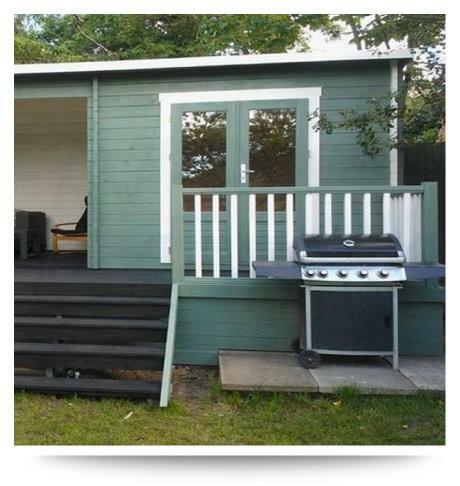 We can also take care of the final finishing, painting of the outside of the cabin from the myriad of colours available, to finishing the inside to the specification of your choice! 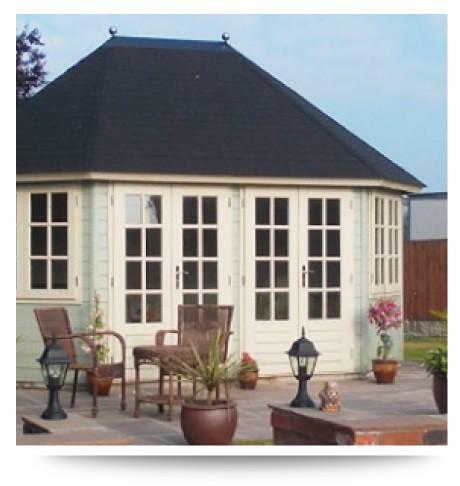 Our buildings are available in either standard 45mm thickness or the thicker 70mm. For the narrower boards, you will find that you will need to allow for insulation as well. 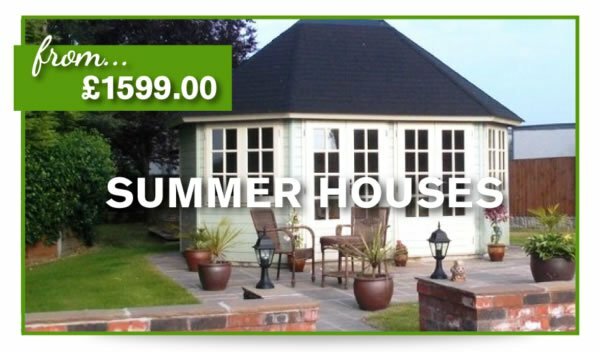 You will find the cost of this specified on each of our product pages. For the 70mm thickness, the timber is naturally insulating so you will not need to insulate the walls. The walls of the building are constructed from cleverly interlocking logs. Each plank has a zigzag edge which neatly locks with its neighbour without any gaps. This stops any cold air getting through providing the perfect join between timbers. If you are unsure about which timer thickness to choose then please speak with us. Both the roof and the floor will need to be insulated. This is to prevent cold rising from the ground and to stop warm air disappearing through the roof. This comes in easy to fit blocks which will fit between the joists which support the building and between the roof timbers. It is foil backed, providing the best insulation there is. Your cabin will come with double glazed doors and windows to retain as much heat as possible inside the building. Fitted by us, they will arrive separately to the main pallet with your order. The windows come with the option of adding Georgian frames, which can be attached over the frames to give a more cottage style look! There are so many uses of log cabins, many of which will inspire and amaze. From providing extra living space to craft rooms and poolside changing facilities. The use is only limited by your imagination. 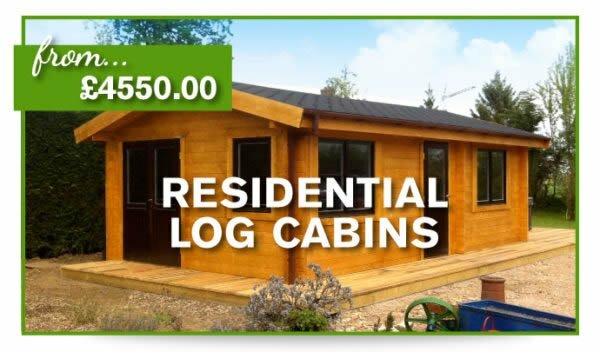 Many of our customers use their cabins to provide extra living space – take a look at our amazing range of residential log cabins which are installed in exactly the same way where all kinds of facilities can be added, from a toilet to cooking facilities and of course bedroom space. 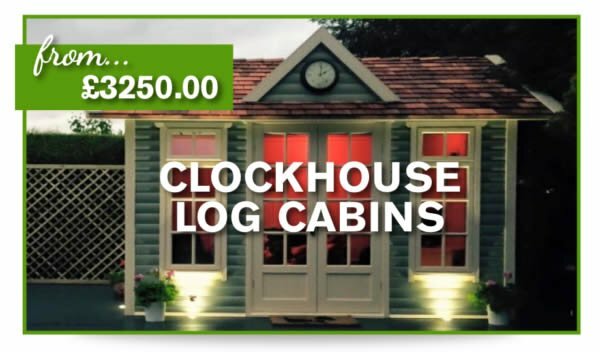 There are considerable advantages to installing a log cabin to achieve this, not least the cost savings of a wooden building over a traditionally constructed one. We have customers who wish to work from home, some who want an extra playroom for kids and others who need a craft room. A great idea is to use your log cabin as a home gym or even a cinema room where you can relax in style – install some quality leather seating and have the screen at one end! We have one customer who is madly in love with music and wanted a separate music lodge away from the house. He installed a piano, guitars and a sophisticated music system so he could blast away to his heart’s content. The myriad of uses is endless. Some people actually Airbnb their cabins but you would, of course, have to take special planning advice about doing so. You may also have to provide separate access to the lodge so that your guests could come and go without disturbing you! what the price will be with no hidden extras.